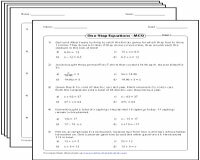 Two-step equation worksheets have a huge collection of practice pages to solve and verify the equations involving integers, fractions and decimals. 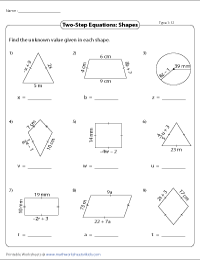 Also, translating two-step equations, MCQs and word problems based on geometric shapes are given here for additional practice. 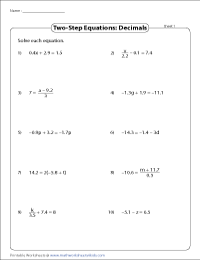 In these worksheets solve the two-step equations with integer coefficients. 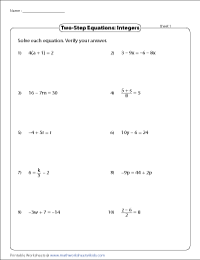 Numerous worksheets are available for practice. Solve the equations which have fractions as their coefficients. Arrive the solution to the equations in just two steps. 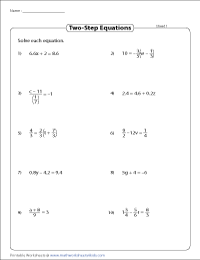 Decimal coefficients are included in these two-step equation worksheets. Solve these equations to get the value of the unknown. 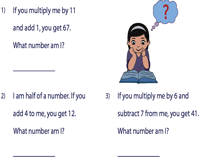 Solve these mixed equations which involve fractions, integers and decimals. 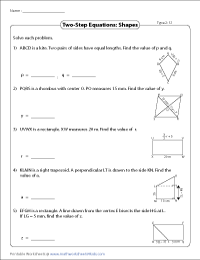 Each worksheet has ten problems for a thorough practice. 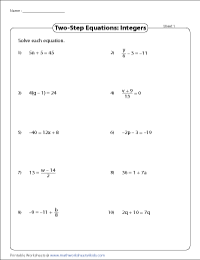 Utilize this set of worksheets to guide students of grades 6 through 8 to solve an array of diligently prepared equation word problems. 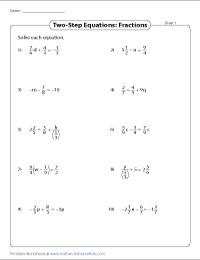 In these 12 worksheets solve each two-step equation to find the unknown. Substitute the value of the variable in the given equation to verify the solution. Identify the correct two-step equation or value from the given multiple responses. 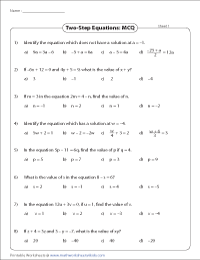 Each worksheet has eight questions for practice. 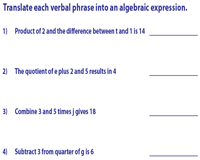 In these worksheets, translate the given phrases and/ or sentences into two-step equations. Find me! Solve these interesting problems following the given hints. Ex. If you add 7 to three times of me, you get 34. What number am I? The lengths of the sides of geometric figures are given in the form of expressions. Use the given inputs to find the value of the unknown variables. The properties of the geometric shapes are the clues to solve these word problems.Figure out the two-step equation from the given expressions to find the value of the unknown.